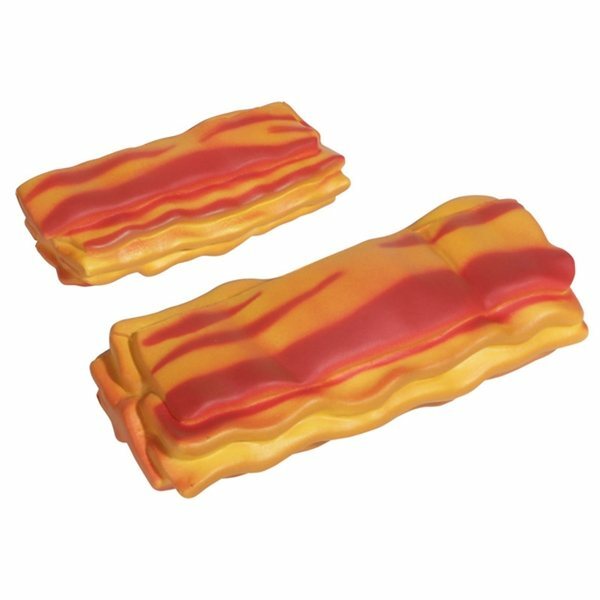 Bacon shaped polyurethane stress reliever. Arrived one day early which was great The color and quality were spectacular and also the imprint was excellent. customer service and quality of the product. We can do it in style with our company colors and logo! I thought that Rose was outstanding. She was patient and handle 3 women making decisions and changes, very well.